Provide comfort for the family of Allan Veldhuis with a meaningful gesture of sympathy. VELDHUIS- Mr. Allan Veldhuis, age 53 years, passed away on Sunday, January 20, 2019. Allan was born in Atikokan, Ontario on August 30, 1965, the son of Fred and Marilyn Veldhuis. Living most of his life in Thunder Bay he worked for many years in the food services industry where he made many friends along the way. He enjoyed the outdoors, whether it be going for walks or drives to take in all that nature had to offer. He will be dearly missed by his children Kyla (Warren), Devon (Margaret) and Aidan, their mother Tiina, brother Rick (Terri), father Fred as well as by nephews and other relatives. He was predeceased by his son Christopher, mother Marilyn and sister Karen. As expressions of sympathy memorials to the T.B.R.H.S. Foundation – Cardiac Care Campaign would be appreciated. Arrangements are in care of the Sargent & Son Funeral Directors, 21 N. Court Street. Online condolences may be made at www.sargentandson.com. 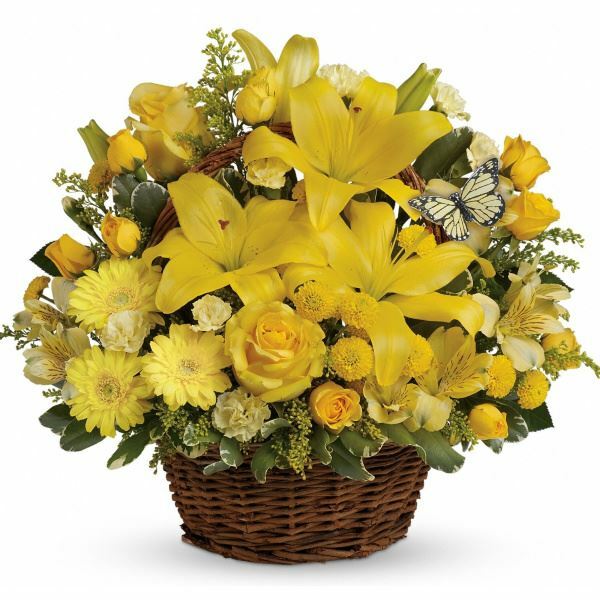 To send flowers to the family of Allan David Veldhuis, please visit our Heartfelt Sympathies Store. From Kim & Lam Nguyen & Family - Chinese Express R sent flowers to the family of Allan David Veldhuis. I had met Allan about 10 years ago while still apprenticing. Over the years I saw him almost weekly and began to look forward to his visits. He was friendly, outgoing and one heck of a conversationalist! He will be missed in the foodservice community, and in the hearts of those who were close to him. To the Veldhuis Family, with warmest sympathies - Allan was a wonderful man and will be greatly missed by many. From Kim & Lam Nguyen & Family - Chinese Express R purchased flowers for the family of Allan Veldhuis.